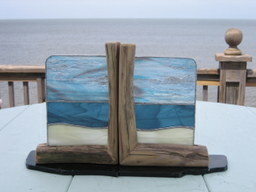 Beach Bookends – bases with the help of Christian Lapp. Made from re-purposed materials. Glass Removal Interchangeable.